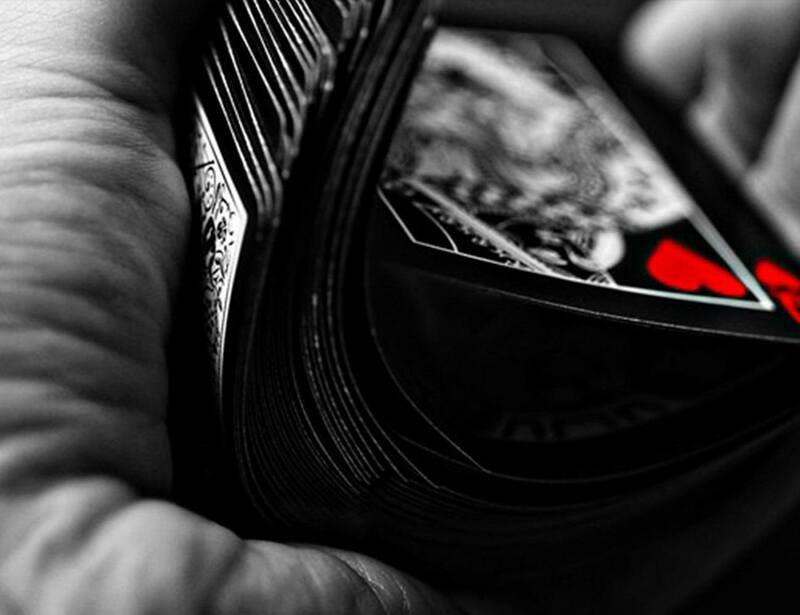 Each card hand designed in precise detail the legend of the masters deck redefined with a sleek black finish. 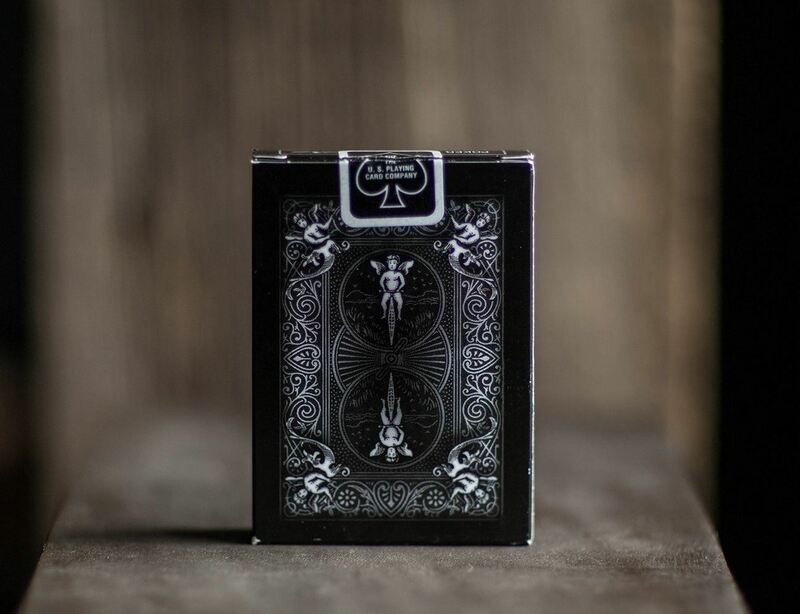 2 gaff cards included for out-of-the-box trick readiness special features jokers… If death was a gentleman, this is who he would look like. 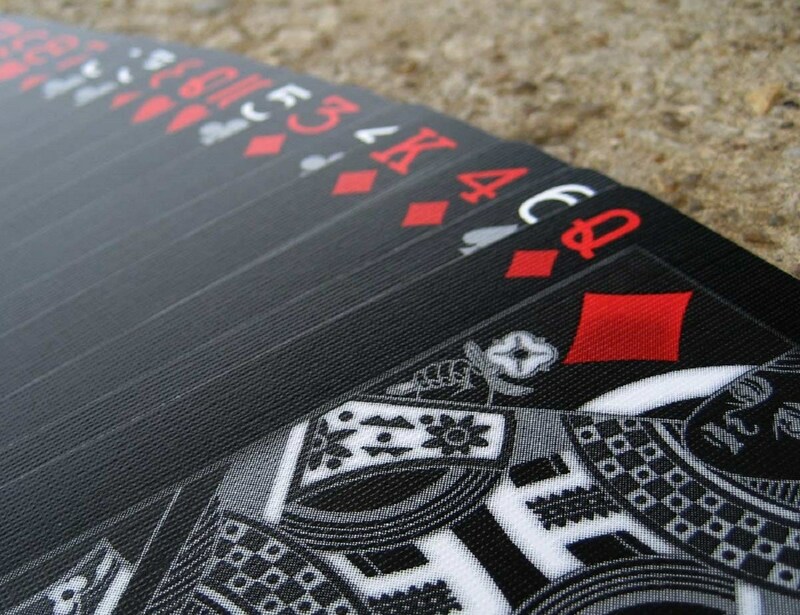 One joker holds the sands of time in his hand while the other joker changes it to a three of diamonds reveal. 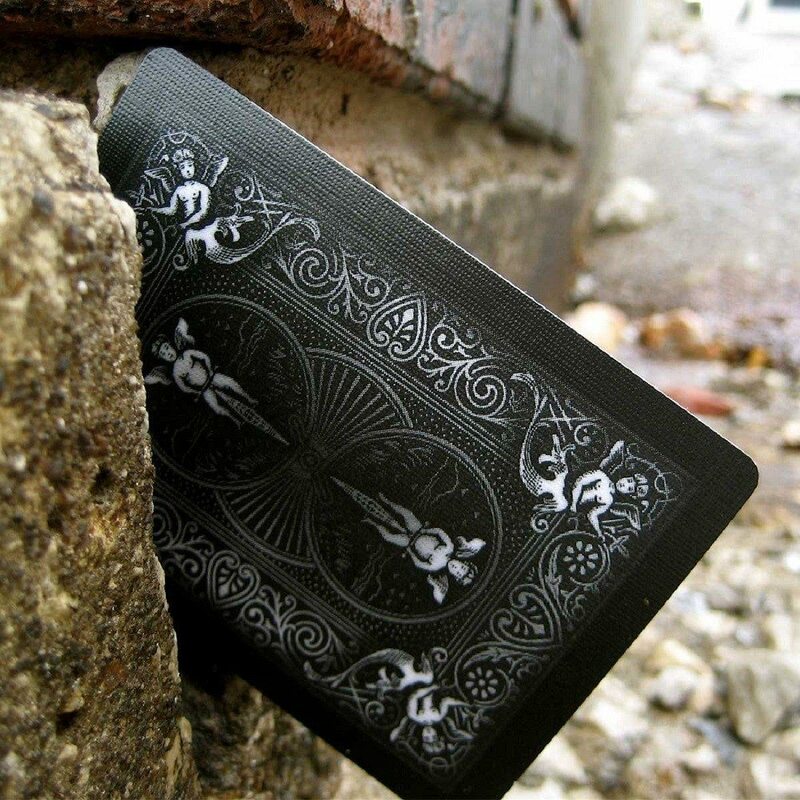 Extra cards – there is one standard “ad card” from ellusionist, but one card is a double backer.